Joshua has just completed his A-Levels in Economics, Law, History and General Studies at the Urswick School and Sixth Form. He is a fluent speaker of English, Italian and Twi (Ghanaian dialect) and undertook a voluntary placement at the Civil Service Department for Education last summer. Joshua aspires to a career in Economics. “In the pursuit of creating a better society, businesses should play a vital role in creating jobs for people to reduce unemployment and people living in poverty. However, for this to be effective fairer and higher wages should be offered, particularly for those on low income, to ensure a more just and equal society”. 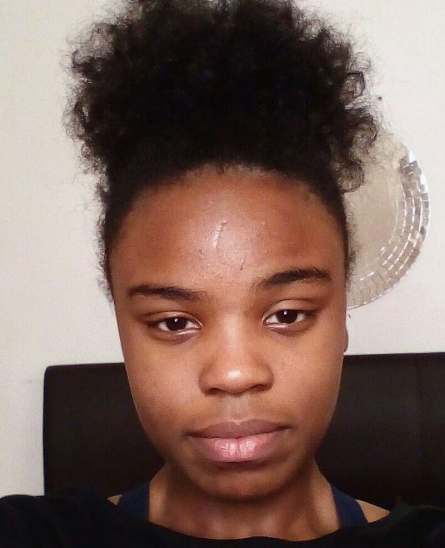 Masie is set to begin a degree in Law at UCL this autumn having just completed her A-Levels in English Literature, Religious Studies and History. She has volunteered with the Kingston Racial Equality council and at St Lawrence’s Catholic Church in Feltham and has worked as a mathematics and English tutor to children aged 8-16, including those with learning difficulties. “In practice, some may argue that the focus of business cannot be solely based on ethical guidelines of creating a ‘better society’, as the businessman Milton Friedman famously argued, “the role of business is to make money”… Businesses face a dilemma. Either neglect the aggregate society that allows them to flourish, or play a key role in creating a better society by following ethical guidelines that encourage fairness and sustainability. From a utilitarian standpoint, the latter is the clear choice”. Rohit has just completed his second year studying for a BA in Geography at St Catharine’s College, University of Cambridge. 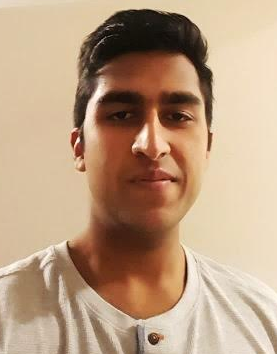 He is a former student volunteer at Tiverton Academy, Birmingham, where he assisted with teaching Year 3 and 4 pupils in a range of disciplines such as Maths, English and Art. He is also a keen linguist fluently speaking Hindi, Punjabi and English. “Business has a key role to play in creating a better society… Businesses have an important role in ensuring that their immediate environment isn’t polluted by industrial waste or air pollution and in ensuring transparency in various ways such as by paying their taxes in full and ensuring that the pay ratio between the highest paid and lowest paid employee isn’t excessive and doesn’t corrode trust. In the long term, British businesses crucially need to invest profits to enhance productivity which lags other Western countries and is the key determinant of standards of living. Some form of worker representation on company boards or worker co-operatives – such as the John Lewis model – are potential propositions for the future of British business”. 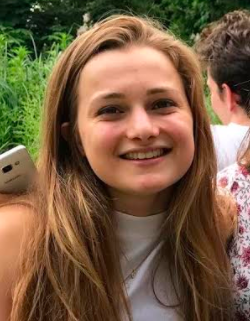 Francesca completed her International Baccalaureate (IB) and will begin a degree in International Relations, Politics, History and Anthropology at Durham University in October of this year. 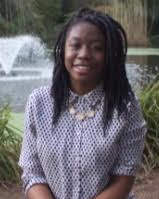 She was also Amnesty Youth Advisory Representative at Hockerill Anglo-European College. 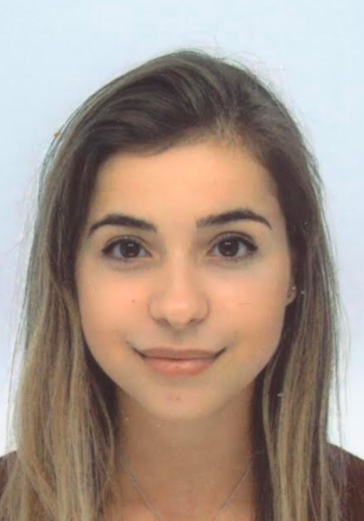 Francesca has ambitions to work in the world of media, public relations and/or advertising and is a passionate debater, skilled gymnast and keen linguist; speaking fluent English, advanced French and basic Italian. “In light of the current depleting state of environments across the globe, and following President Donald Trump’s recent decision to withdraw from the Paris Climate Agreement, it is my personal belief that at this time, one of the most fundamental roles of businesses must be to contribute to the prevention of global warming. This contribution could involve financial contribution towards environmental charities or adverts, self-assessment into the business’ own carbon footprint, as well as research and steps towards environmental sustainability”. 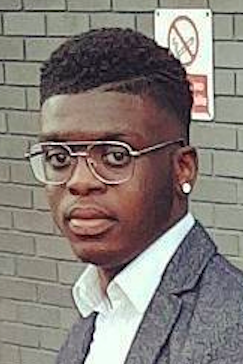 Aston completed his International Baccalaureate (IB) this year and will begin a degree in Business and Management at Nottingham University this September. He is a keen sportsman and is passionate about contributing towards society on a global scale. He was involved in a project aiding HIV-positive orphans in Uganda and it is Aston’s ambition to work towards ultimately attaining an intrapreneurial role in a successful company. “It is incontestable that businesses should make it one of their fundamental aims to provide a safe space for their employees. This applies to both developed and underdeveloped countries and should include a variety of considerations such as equal treatment of genders, races and the LGBTQ+ community, as well as hard-hitting objectives such as the prevention of depression and suicide”. 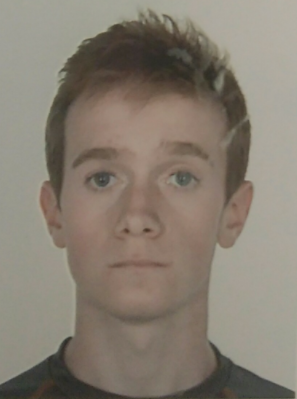 Jack is currently undertaking a BSc in Geography at the university of Durham. He is a keen musician and has volunteered for Oxfam and Wildlife Aid Hospital. Jack also returned to his school to teach Geography to fellow students aged between the ages of 11 and 15. “From the smallest independent organisations to vast multinational corporations, businesses are intrinsically valuable in their ability to serve people in a catalogue of ways, from employment to products to services. 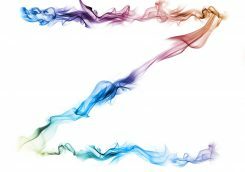 In a broad and divided political climate – both domestically and internationally – the sociological impacts of business represent major points of debate. If business can help society to progress and improve, there is arguably an ethical obligation for corporations and other major actors to work towards this brighter potential future”. Abdirashiid is currently studying for his A-Levels in Mathematics, Chemistry and Physics at Lea Valley Sixth Form. He is an avid sportsman and a member of his school Basketball team and was an English and Mathematics key-stage 3 tutor at Apex Learning. 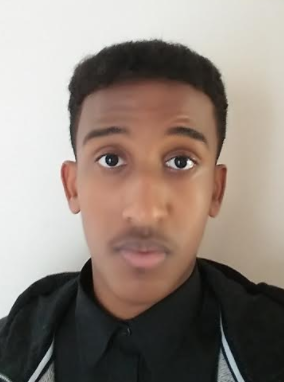 Abdirashiid is an aspiring civil engineer and would like to gain an insight into the role of businesses in society in light of recent events such as the Grenfell Tower fire. “First and foremost, the primary role of a business is to create money. Business should… allow people to collaborate with each other to overcome a task. To me business is somehow like a maze, which requires different minds… to achieve the end goal, which is profit”. Dhara is currently undertaking her A-Levels in Mathematics, History, Economics and Philosophy at Mossbourne Community Academy Sixth Form. She graduated in an Envision program where she and her team aimed to raise awareness of mental health issues, through a variety of social media platforms and a community project. Dhara was part of her school council and enjoyed taking part in debates and has a keen interest in Asian fashion and culture; having visited India many times. “In order to create a better society, I believe that an approach similar to Milton Friedman’s, ‘Make as much money as possible’ as the sole responsibility of a business should be avoided, as this can create a selfish society. I therefore believe that it is through the presence of Corporate Social Responsibility of the business to us, the daily citizens, should be maintained in order to create fairness in our system”. 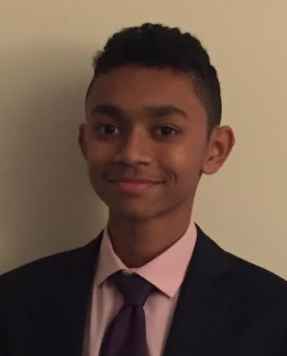 Stephen is currently studying for the bilingual International Baccalaureate (IB) Diploma Programme at London Southbank International School. He is internationally minded, and has a broad interest in Economics, Geography, Business, Finance and International Development. Stephen is considering a career within the professional services/consulting industry. “When business works better, the world works better. Business and work are about creating better outcomes for everyone, inside and outside of the organisation. Work needs to contribute to long-term sustainable growth and encourage the development of the people who are and will be the builders and leaders”. 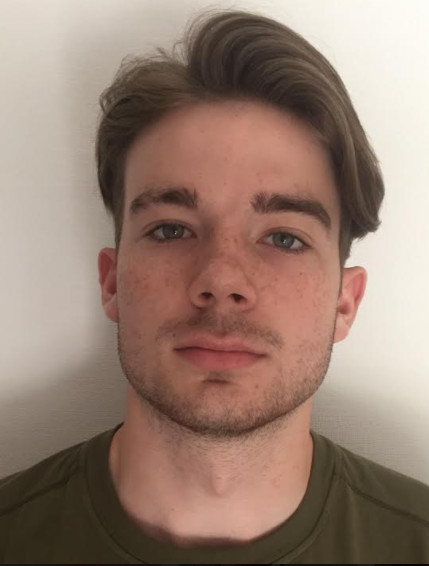 Cian has just completed the first year of his degree in International History and Politics at the University of Leeds. He has a keen interest in politics and writes for his student newspaper ‘The Gryphon’ as well as his personal blog; where he writes for PoliticsMeansPolitics. 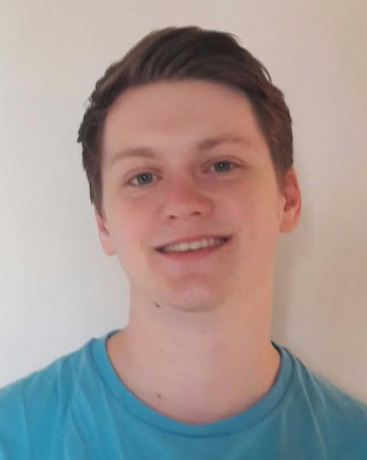 Cian is also a member of the Leeds Labour students’ society and campaigned door-to-door for his local candidate in the recent general election. “I believe that business should play a key role in creating a better society, as business holds a social responsibility in our society through employing and enhancing the wellbeing of the populace. A better society, in my opinion, would be one with less inequality thus guaranteeing the wellbeing of all in society rather than just the ‘winners’. Business should therefore aim to incorporate social issues and concerns alongside profit making and generating wealth to create a better society”. Paige recently finished her GCSEs at St Martin-in-the-Fields High School for Girls and is hoping to go to Wallington High School in September to begin A-Levels in physics, mathematics, economics and business & sociology. Paige also represented her school in a Bouygues French language competition which involved delivering an environmental presentation with her peers in French, competing against other schools. She was also awarded a certificate for The Lion Heart Challenge – “Best financial package” which was also situated around the problem of environmental issues in her neighbourhood. “In the 21st century, businesses should take advantage of the (growth in) advanced technology… if businesses can portray their moral and ethical views through creating a large platform they can help create a better society if they dream big and leave their impact”. 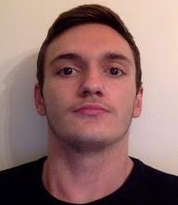 Ardi is currently studying for a BA in Philosophy, Politics and Economics, at Kings College London. He is also Vice-Captain of Guy’s, Kings and St Thomas’s Football Club and Co-Founder of the Kings College Philosophy Politics and Economics Society. “While we shouldn’t impinge on the efficiency aims of businesses, they ought to recognise their responsibility to act in accordance with the laws and regulations of the countries they operate in, and to a large extent their social norms of fairness. If those businesses which reap the various rewards of operating in the UK fail to give back adequately in terms of taxes (for example), they can hinder the progression of a better society”. Aman is a third-year law student, currently undertaking LLB Hons at Queen Mary University of London. 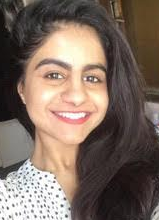 She is vice president of her university’s Pakistan Society and is committed to the development of young people in her role as a community worker at her local activity centre. Aman is also a keen linguist speaking fluent English, Urdu and Punjabi. Lydia has just completed her GCSE’s at the Wellington School. She is a talented musician, having attained Grade 6 piano with distinction, Grade 8 oboe with distinction and is a member of the Somerset County Youth Orchestra. 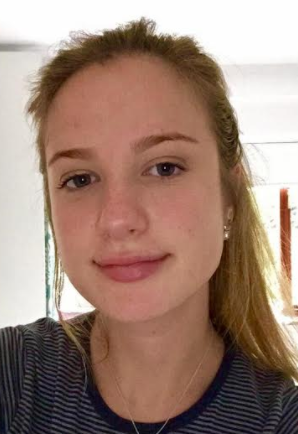 Lydia also has a keen interest in Spanish and is proactive in her approach, having taken part in two exchanges: one organized by herself and the second alongside her school. Lydia also competed for her school in the 2015 Philosothon and her team came in 2nd place nationally. “Business should support environmentally friendly projects and embrace sustainability. Companies that aim to reduce their carbon footprint by sourcing locally should be encouraged, benefitting the local economy. Unilever is a front runner, with its “Sustainable Living Plan”. Many other companies are following suit and the Volvo company has said that they intend to have 100% electric cars by 2019. Veronique Laury of Kingfisher, a British multinational company, stated that her ambition is to create “a society that is better for all” which is surprising from a non-NGO business but certainly a philanthropic notion”. 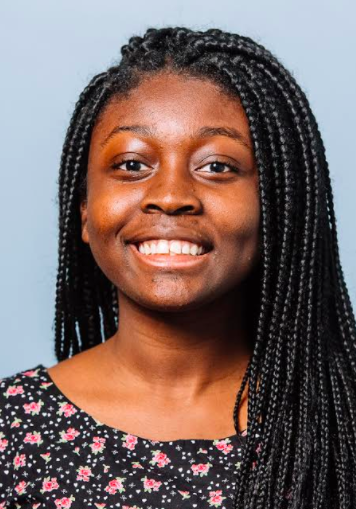 Afua has just completed her English Literature, Philosophy, History and Politics A-Levels at Harris Westminster Sixth Form. She is also a mentor to younger students at her school and is a youth ambassador within her community, working with the Active Change Foundation (ACF) in Walthamstow. “While many may argue for the shareholder model of business which makes profit, business should not be fundamentally financially driven… Business as an institution of society should reflect society’s values”. 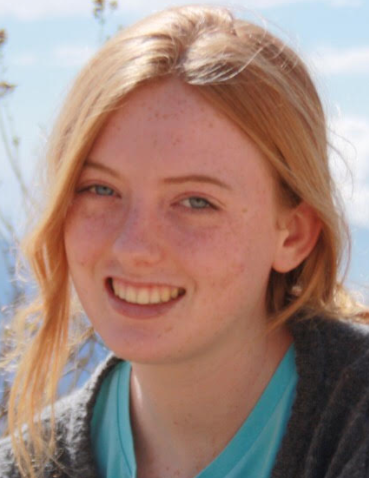 Caitlin is currently undertaking A-Levels in Biology, Chemistry, Physics and Mathematics at Tiffin Girls School. She completed a work experience placement, assisting the litigation team at Nabarro LLP in April of this year and volunteered at Strathmore School in Richmond working with children with special educational needs. Caitlin also worked as a volunteer for School Aid between 2009 and 2012 in South Africa helping teach children to read. She is hoping to undertake a degree in social science at university. “Businesses have a responsibility to create work environments in which bias and stereotypes can be eliminated so that eventually the same can be done in society, as everyone begins to accept a more considerate environment. Therefore, one of the key roles of business is to set a precedent for how members of society should interact with one another, as the regard for others needed within a successful business is equal to the consideration shown between members of a better society”. 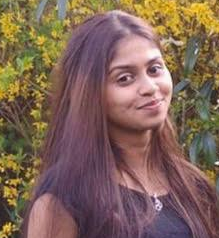 Chantale is a third-year law student currently undertaking LLB at the University of Exeter. She previously volunteered as an English tutor in Madrid and completed an extended placement at Limelight Magazine; writing articles, conducting interviews and working as one of the magazine photographers including photographing the 2012 Olympics spread. “The question is “should” businesses actually take up this role to create a better society? The answer is a clear and resounding “yes”, it is society and communities that see these big and small businesses thrive and develop, it is not out of the question to expect these businesses to have a role in creating a better society… As it is, businesses have become more open to the idea of having a role in creating a better society which is fantastic but this isn’t to say their work is done, there will always be more opportunities for businesses to play fundamental roles in creating a better society”. Ella is currently studying for her A-Levels in Geography, Biology, Economics and History at Tiffin Girls School. She is a driven athlete currently training for a half marathon and, this year, volunteered at Strathmore Primary School in Richmond to work with disabled children. Ella is motivated to attend university and then pursue a career in which she can have a positive impact on 21st -century challenges affecting society and the environment. “The idea of a “better society” needs to incorporate social, economic and political factors that culminate in enhanced living experience for the general public. Business is a key medium in enacting this change: it can influence social norms, such as greater acceptance of new ideas and people… it can also influence political divisions; unemployment and low wages lead to dissatisfaction and extremist political views, undermining the authority of a majority government. In this way, business is at the heart of determining societal success”. Elitsa is currently undertaking a qualifying law degree at Queen May University of London. 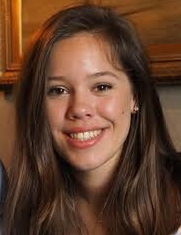 She is a Legal Advice Centre student volunteer at the SPITE for Schools Project and has conducted pro bono work at the City of London Appeals Clinic, looking at apparent cases of miscarriage of justice. 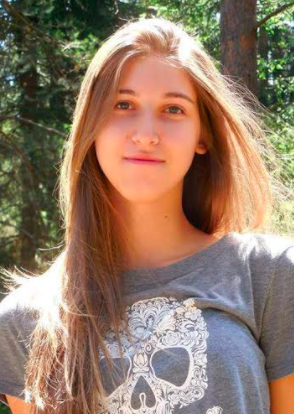 Elitsa also speaks fluent English, Bulgarian and some German. “Business expansion without clear vision for the future society is impossible and for this reason we need corporate social responsibility. Innovative thinking as to how to challenge bureaucracy, providing employees with transparent labour standards, taking care of their mental and physical wellbeing and acknowledging their efforts and skills are things that businesses need to rethink”. 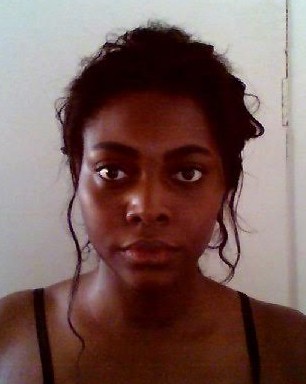 Alice is currently studying for a BA in Human Sciences, at the University of Oxford. She is a keen volunteer having spent 7 weeks in Villa Maria, Peru on a mixed construction and children’s project and having also completed work experience at the Meningitis Trust Headquarters UK; learning about the structure of business, raising money and marketing. Alice is planning to either continue her studies in International Development, or would like to begin working with think tanks. “Capitalism is, arguably, the most powerful man-made force affecting the planet, having the power to be transformational and progressive. This considered, perhaps responsibility and sustainability are the two most important elements of business within society; allowing it to grow and develop without creating diverse inequalities in the present, or by putting populations in the future at risk”.